Identify the candidates that possess the skills, personality and characteristics needed to become successful x-ray screeners. 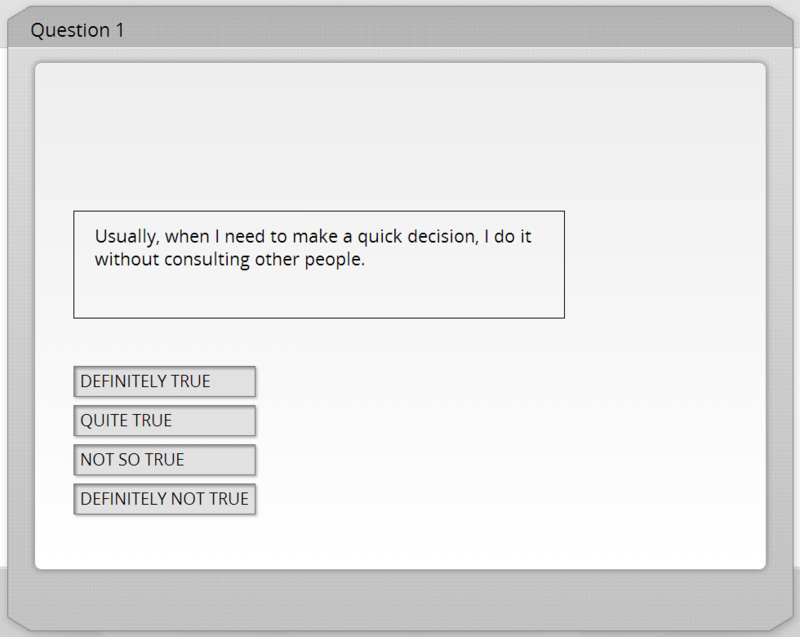 Pre-M includes 8 aptitude tests and an optional personality test. They have been developed with the assistance of reputable psychologists, doctors and security industry specialists. 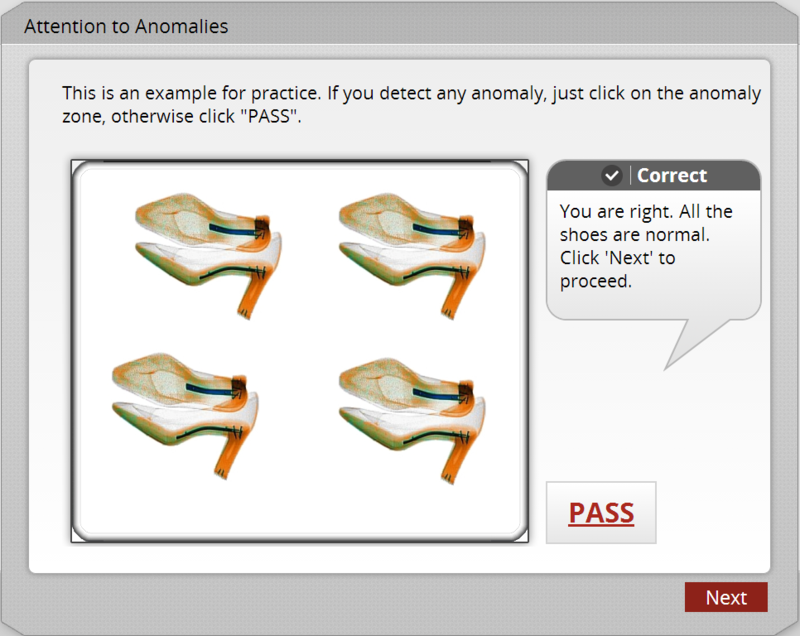 The system includes a built in tutorial that guides the user through each test. The tests do not require the candidate to have any prior knowledge of x-ray screening. 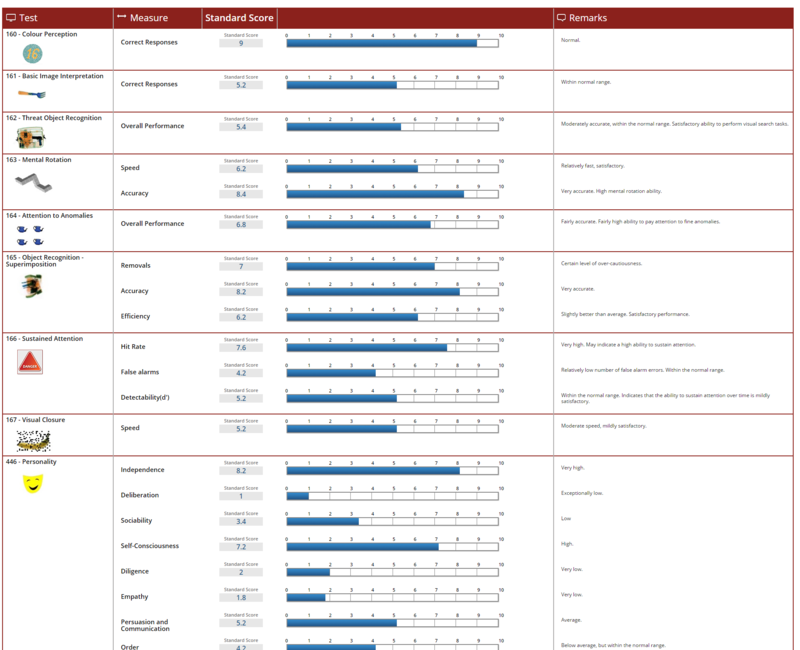 Pre-M generates reports after the completion of each test. Each report contains results for each test within the exam and an evaluation as to the overall capabilities of the candidate. 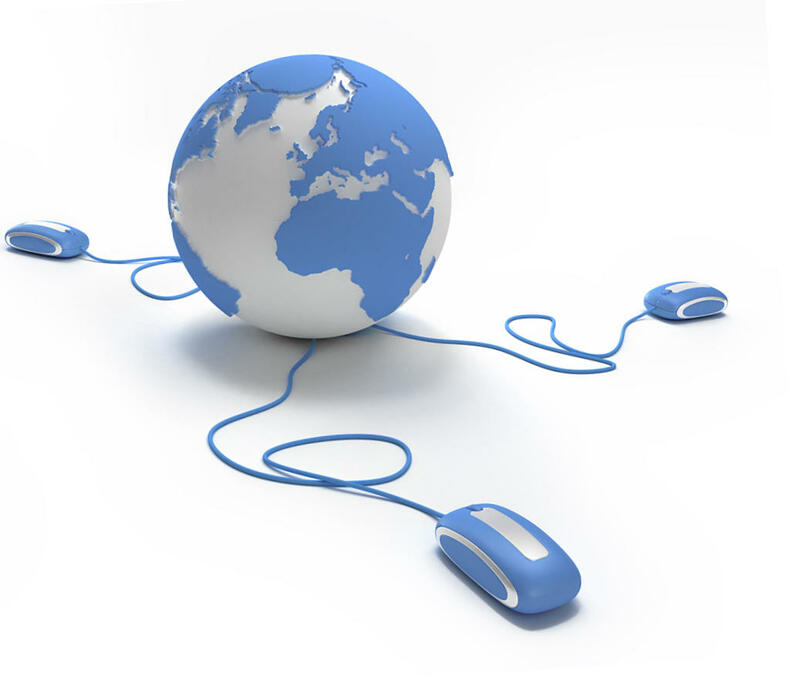 Pre-M can be accessed from any computer with an internet connection. 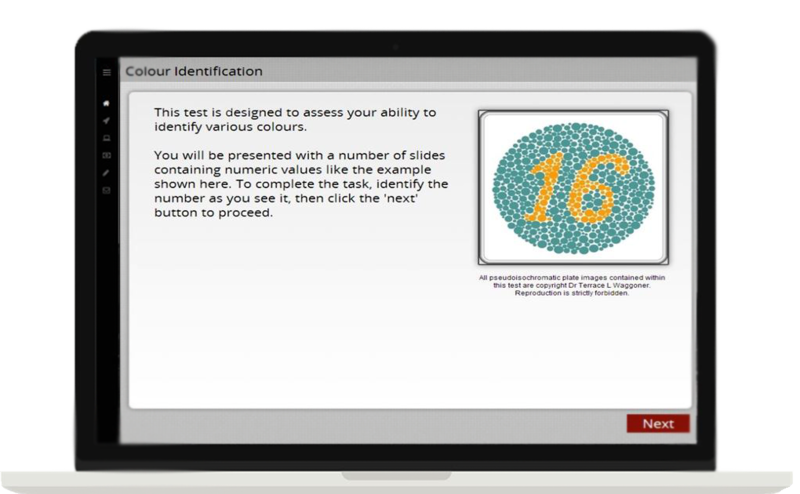 For organisations not able to carry out the tests online, we also have a standalone version which can be quickly installed on to any computer. 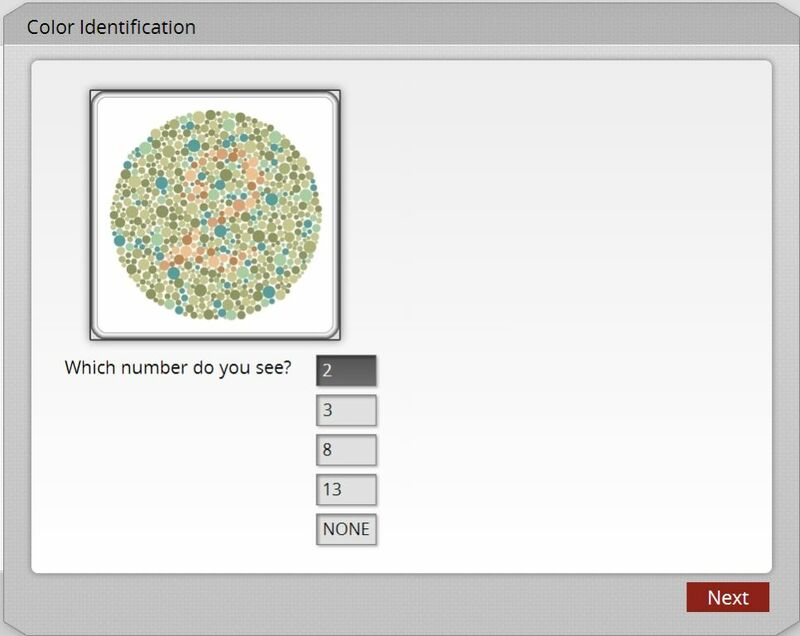 This test assess whether the candidate has any colour recognition deficiencies. Why?Screeners need to be able to differentiate between orange organic material and blue metallic material whilst analysing x-ray images. 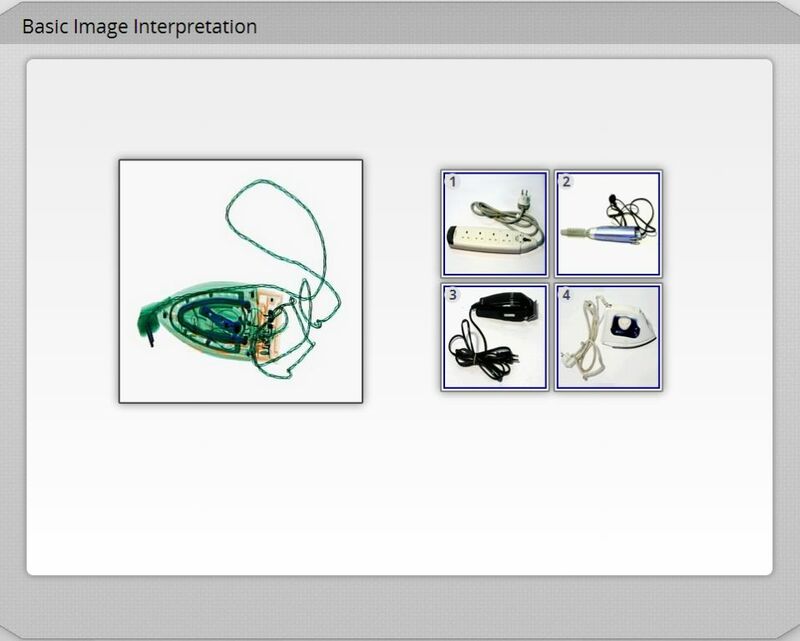 Tests the ability to identify everyday objects displayed under x-ray. Why? Under x-ray, screeners must be able to identify objects based only their shape and components. 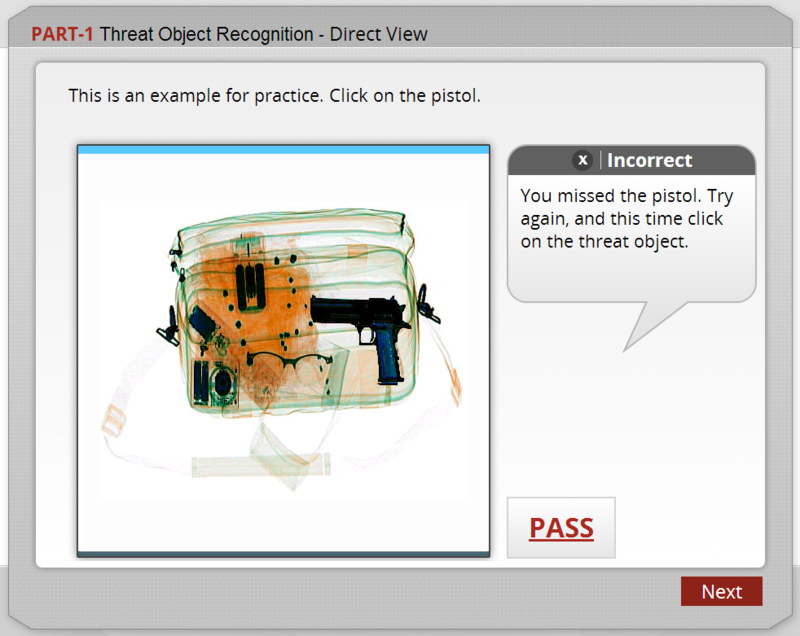 Tests the candidate’s ability to identify easily recognisable objects placed in a clear, direct view or at an angle within complex bag images. Why? 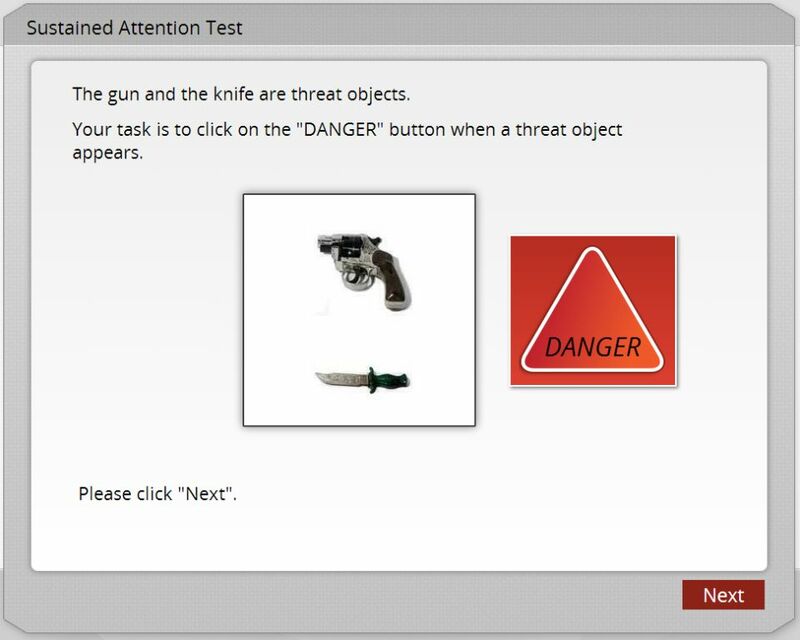 Screeners must be able to differentiate Guns and Knives from innocent objects. 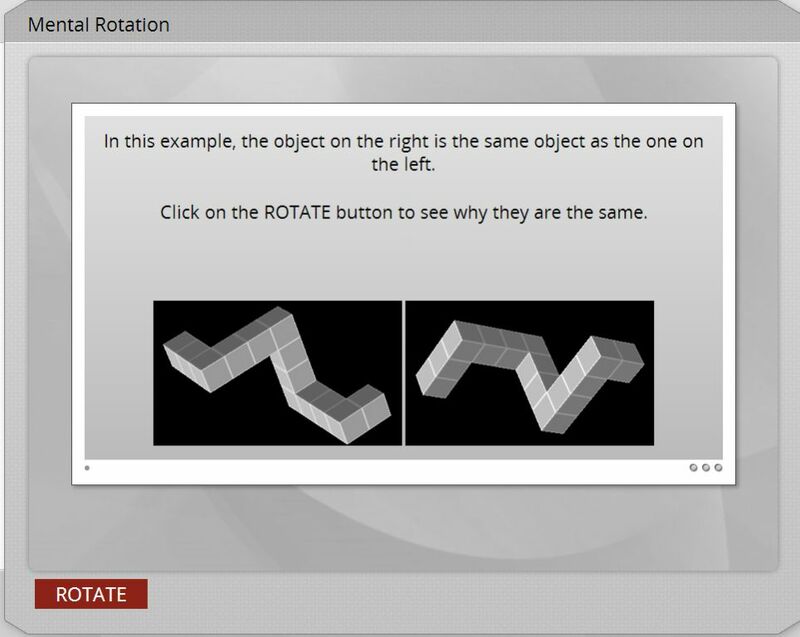 Assesses the ability to recognise a shape by its main component parts while it is being rotated at different angles. Why? During the screening operation, objects are not always pointing in the best possible angle within a bag. 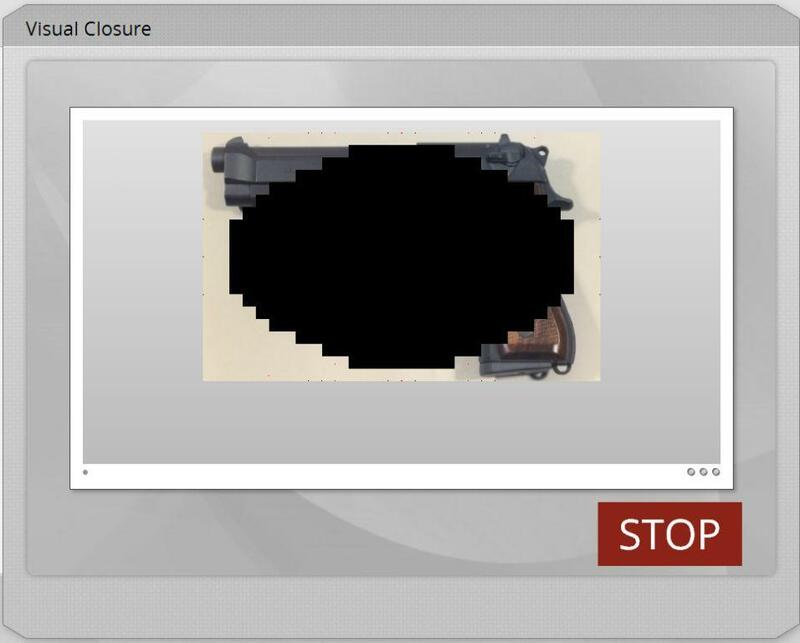 Screeners must be able to mentally rotate certain items in order to correctly identify them. 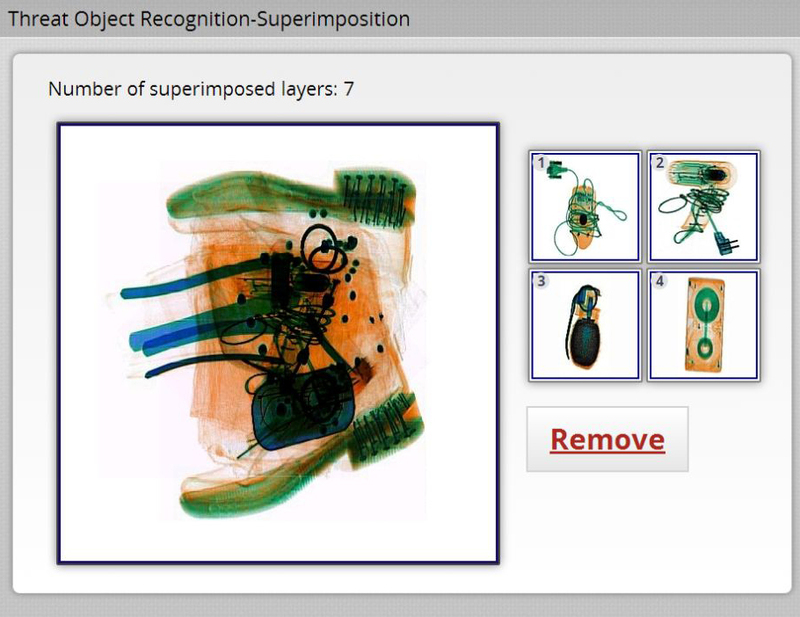 Assesses the identification of suspicious/ restricted objects obscured by other objects contained within multi-layered bag images. Why? This test identifies screeners that may be reckless and take too many chances as well as those that are not confident and would cause too many bags to be searched. Assesses the ability to pay attention to small anomalies in x-ray images. Why? The only way to detect these threats is often not through identifying exactly what they are but by spotting a small change to their expected shape or components that could indicate a threat is concealed within. Assesses the sustained attention of the participant during a continuous performance task. Why? A screener must treat each bag that goes through the x-ray machine with the same high level of attention. Something that after 20 minutes of screening is very hard to maintain. 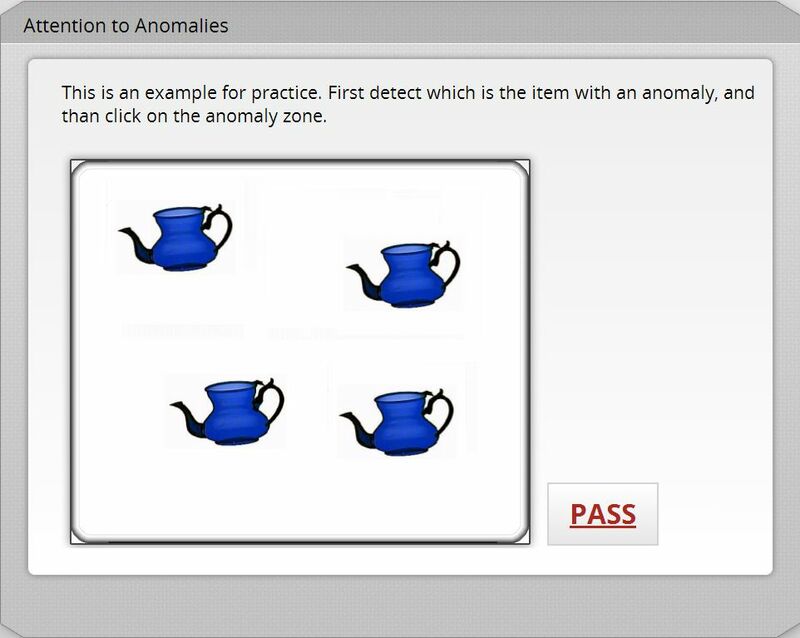 Tests the ability and speed of the participant in detecting common objects. Why?Pre-M aims to find the candidate that possesses a balance of speed and accuracy. Why? X-Ray Screening is a quite a monotonous job that suits certain personality profiles. Pre-M is developed by Renful Premier Technologies, a UK based company that specialises in the development and provision of security training products and services. For more information about Renful and our range of security training products and services, please visit: www.renful.co.uk or follow us on social media. Please fill in the contact form to get a free demo of Pre-M. Alternatively, you may call us on +44 208 457 9111 or email us at info@renful.co.uk. © Moshe Cohen. Distributed by Renful Premier Technologies.